Before we hop into this week's trio of comics I thought I would share a Kickstarter for a board game that has grabbed my attention. In Dead Man's Cabal, you play a necromancer who is trying to raise the dead to join you for a party. 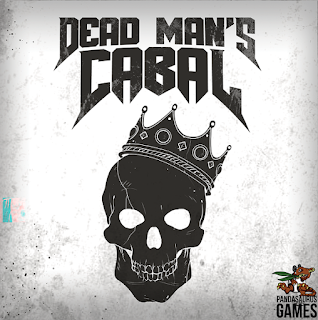 While the premise is simple as you gain skulls and spell cards in order to raise the dead, the variable phase order is what has me excited about this game. On your turn you get to determine one action for yourself and one action for the everyone. Do you maximize both moves knowing it will benefit one of your opponents? Do you settle for a move that isn't as good, but doesn't help anyone else either? There are a lot of tense decisions and the Kickstarter has already reached some cool stretch goals including 3D bones as currency and the art ranks up there with some of the best in the business. The next stretch goal is 3D skulls! Check it out here. Batman #64 - This marks the start of a Batman and Flash crossover and I am quickly learning that I need to read more Flash comics. I will openly admit that I grew up as a Marvel kid and have primarily dabbled in Batman in the DC Universe. 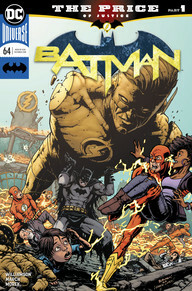 Batman and Flash are teaming up in this arc to deal with a crimewave that is sweeping Gotham. Batman seems to have some sort of insider knowledge on the attacks and we learn that Gotham Girl, who he once attempted to train, is trying to somehow save her brother who was corrupted by Psycho Pirate. Despite having one of the worst names in all of comics, Psycho Pirate is adept at manipulating people and played a pivotal role in one of the arcs that caused me to abandon this series. While that thought has me a bit hesitant for this crossover, the dynamic for Batman and Flash teaming up has me very excited to explore more of the DC Universe. Vindication #1 - I wanted to like this book based on the premise, but it felt too cliche and hook me despite a solid cliffhanger ending. Turn Washington was wrongly convicted for a murder 10 years ago and has just been set free. The detective who worked the case disagrees, and is set out to make sure that Washington returns to his prison cell at the first sign of a slip up. 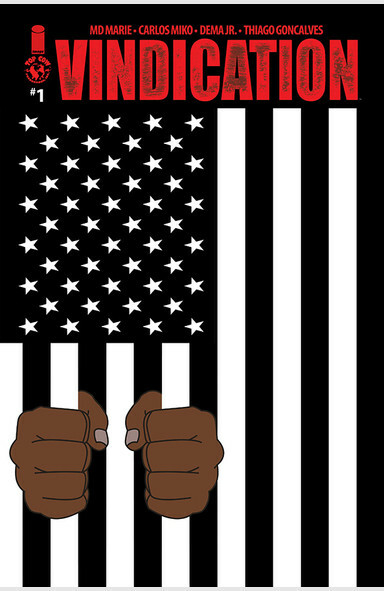 There are a lot of interesting elements to this book, including some racial undertones, a corrupt system, and attention grabbing lawyers, but it fell flat to me. I am currently enjoying the latest season of True Detective and wonder if my standards are elevated due to that series having captivated my interest. There is a good chance that this series will improve as we learn more about the murder 10 years ago and the similarity to a recent murder, but I am not quite there. Star Wars #61 - It looks like we reached the conclusion of another arc and that the Rebels are going to have to engage with the SCAR Squadron in the near future as they have obtained some of their secret plans. 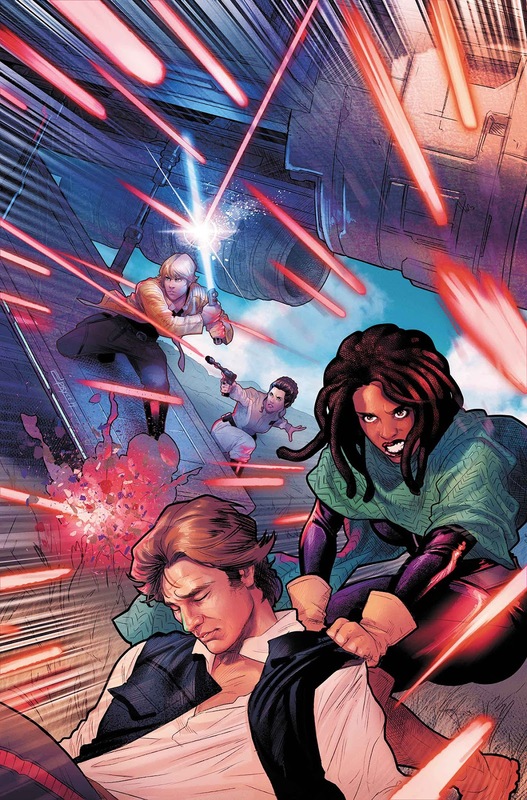 This was a big reunion issue as Han and Chewy join forces again, Han returns to his true love the Millennium Falcon, and Luke rejoins Tula after she helped him and the Rebels escape. The highlight in this issue was a two page interaction between C-3P0 and an alien having what appears to be a tense negotiation, only to learn that C-3P0 was nearly advocating for new leg plating which he successfully obtains. It felt very authentic to the humor that has been sprinkled throughout this series and I remain in awe at how effective the comics are at filling in the gaps of the films and remaining very true to the original source.